Our winter lecture series consists of weekly daytime (Lunch and Learn) or monthly evening (Covered Dish Dinner) presentations occurring onsite at The Wetlands Institute. Throughout the series, guest presenters from around the state share presentations and/or programs on a variety of scientific and cultural topics. Join us for a weekly exploration of topics important to our coastal and wetland ecosystems. 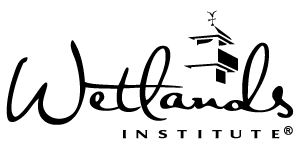 Bring your lunch and The Wetlands Institute will provide coffee and dessert. Each week we will feature a different speaker and topic of discussion! Please Note: There are NO Lunch and Learn presentations on dates of Covered Dish Dinner events. Jamie is our newly hired Manager of Advancement. Come out and get know her! Jamie will talk about how she was inspired to work in the environmental conservation movement, what she did before she got here, and what she likes best about working at The Wetlands Institute. Native shrubs, trees, flowers and grasses fill the garden at our home/the farm/the nursery. Each year the grounds evolve as we add plants and watch others fill in the spaces. Come spring, we dive into the garden to trim and weed the crumbling winter foliage, mindful of the native bees, beetles, and butterflies that have overwintered in leaf foliage, on branches, and inside plant stems. While we hope to enjoy the beauty of these pollinators, we know that most of them will become the vital food source for baby birds. We are blessed that our garden is part of this wonderful creation and we encourage its yearly cycle with mindful stewardship. Join us as we focus on winter planning/practical tips for cleanup of the garden in anticipation of returning and hibernating pollinators. During this presentation, Dr. Lenore Tedesco will share the results of two local projects that have built nesting habitat for colonial and marsh-nesting birds. She will discuss ongoing research and conservation initiatives focused on the beneficial use of material dredged from the NJ Intracoastal waterway. When it comes to the ecological challenges we face, debates surrounding science, technology, and policy usually dominate the discussion. But it’s important also to ask how things like culture, values, ideas, and even a sense of beauty play into our environmental understandings and choices. In this talk, Dr. Dustin Crowley will share some thoughts about how literature and other cultural productions like film and music can help us examine how we understand nature and our relationship with it, especially as that changes from place to place and from one time period to another. Learn how beach plums are gaining popularity in America and about the research being done by Rutgers University on this up-and-coming fruit, right here in Cape May County. The goal of my talk will be to provide attendees the information and tools they need to Rise Above Plastics in their communities. Brief description of the history of plastic and the nature of the material. Discussion of the current threat that plastic pollution poses to the marine environment and coastal communities. 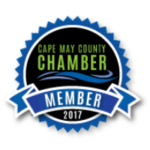 Introduction to the Ocean Friendly Restaurant Program as a response to the plastic pollution issues we face in South Jersey. Present program criteria and benefits to registered restaurants. Provide attendees the literature/tools they need to encourage their favorite restaurants to become Ocean Friendly. This presentation shares a historical perspective that compares and contrasts the changes to the Maurice River in Cumberland County, NJ based on historic maps and aerial photos. Join congressional aide, Dr. Mark Logan as he discusses legislation of the 115th Congress HR 4647, Recovering America’s Wildlife Act, a bi-partisan bill which would drastically increase the funding of state wildlife agencies to improve habitat, increase conservation efforts and keep species OFF of the Endangered Species List. In 2018, HR 4647 almost made it to the House floor, had a Senate parallel bill and, in the House, there were approximately 120 co-sponsors. It is likely to be re-introduced early in the 116th Congress. Become a more attentive observer and deepen your appreciation for the natural world. Learn some simple techniques used by naturalists and travel writers whose notebooks record the nuances of everyday experience alongside the delight of discovery. Christine Flanagan, MFA, is an Associate Professor of English who teaches creative writing and environmental humanities at University of the Sciences in Philadelphia. For two decades, she has led student writing adventures from New Jersey’s local pinelands and coastal areas to far-flung tours of Iceland, Peru, Ireland, Greece, Italy, and more. Nothing could be better than an evening filled with meeting new people, eating great food and engaging in scientific discussion! Join us the last Friday of each month, January – March, as we bring in guest speakers from around the region to share their knowledge of important issues in the field of environmental science and biology. In the spirit of covered dish dinners, please bring an appetizer, entrée, salad or dessert to share with at least eight people. Hurricanes have a (well-earned) reputation for wreaking havoc on the lives of the people that live and work in their paths. But did you know that hurricanes are also a critical component to a healthy beach ecosystem and the wildlife that inhabit it? Join Kashi as she shows you the kinder, gentler side of these powerful storms — well, ok, maybe not kinder or gentler, but certainly beneficial! Spend the evening with The Wetland Institute’s North American Shorebird Championship winner from 2006, Tommy Stewart as he explains in detail the importance of birding, preliminary sketching and bringing your observations to a work of gracefulness, beauty and art. Tommy will use the shorebird carvings on display at the Institute, along with many images that he will bring to the presentation, to bring these concepts to life. Join Dr. Tedesco and Wetlands Institute staff for as we celebrate the 50th anniversary of the Institute with a presentation highlighting some of our history. We have been gathering historic photos and stories from our history and are excited to share them and hear some of yours.